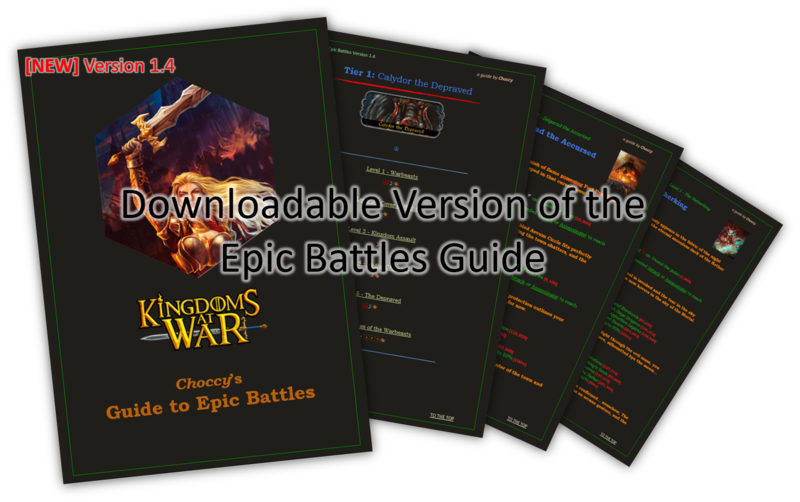 Version 1.4 of the downloadable Epic Battles Guide is now out! The Table of Contents have gotton a brand new design. The epic battles Zelgarad the Accursed and The Netherking has been added to the guide (sorry for it taking so long). Some small bug fixes and a few corrections here and there. I hope you like the new version of the Epic Battles Guide. If you have any questions, feel free to ask here on forums or on my wall! It says my phone can't support this. It says safari can’t open the link because the link is invalid..
Wow, congrats on a job well done.